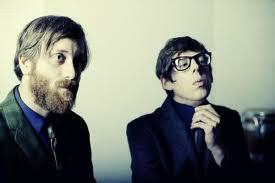 It was announced today that the Black Keys have been added to the Summerfest 2011 lineup at the Marcus Amphitheater. This is the 3rd headliner to be announced for Summerfest 2011. Black Keys Summerfest Tickets have not gone on sale yet, but Ticket King Milwaukee will have tickets available. Most recently, the Black Keys were nominated for four Grammys and have sold over 1.7 million records. Their most recent album, Brothers, was released in May of 2010.